The 2nd amendment is a NATURAL RIGHT. We were born with certain “inalienable” natural rights. Natural rights are rights which are “natural” in the sense of “not artificial, not man-made”, as in rights deriving from human nature, or from the edicts of a god. They are universal; that is, they apply to all people, and do not derive from the laws of any specific society. They exist necessarily, inhere in every individual, and can’t be taken away. For example, it has been argued that humans have a natural right to life. They’re sometimes called moral rights or inalienable rights. A right is an inherent, irrevocable entitlement held by all citizens or all human beings from the moment of birth. It is not a privilege granted to one. A privilege can be taken away, a right can not. These natural rights are guaranteed by our Constitution’s Bill of Rights that We The People can keep and bear arms WITHOUT any infringement. Meaning exactly that – NO Rules, Laws or Regulations concerning arms of any type. For is not a rule, law or regulation an infringement? The Bill of Rights are rights the People hold and the Government is suppose to protect. Our Federal Government violated our trust in this concern some years ago and continue to do so to this day. The Bureau of Alcohol, Tobacco, Firearms and Explosives and its rules, laws and regulations along with any other infringement our Federal Government may or has come up with concerning arms are therefore, in my opinion, unconstitutional. In the Supreme Courts 2nd Amendment Ruling of 6/28/2010, according to reports, Judge Alito, states: that in some instances the right to bear arms can be limited. It, is my opinion he is incorrect, as he seems to forget the last four words of the amendment-shall not be infringed. As a Limit of some type would be an infringement of some type. Nor is any limit implied. I would like Judge Alito to show me were in the amendment the word or words “limit, can be limited to, is limited to, etc appear.”. We must remember that the Bill Of Rights, the first ten amendments to the United States Constitution, protects the rights of all citizens of the United States and its territories. And puts limits on the powers of the Federal Government. The 2nd Amendment DOES NOT give the rights to the Militia to keep and bear arms. It only states that a militia is necessary to the security of a free state. 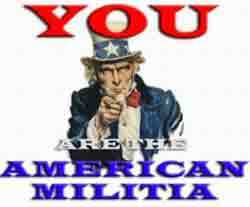 A militia is a group of citizens coming together to provide defense against an enemy or its own government that has gotten out of hand. It is not the National Guard ** or the Army Reserve. The government changed (in my opinion) the true meaning of Militia in 1903. The true Militia in my mind is a group of citizens coming together to provide defense against an enemy or its own government that has gotten out of hand. If the government has control of the Militia how do the people protect themselves against the government when all else fails? Does it not make sense that since the government was formed by us the people that government property belongs to us the people? Its seems to me the government has no right to tell anyone they can not protect themselves by carrying arms on themselves while on government property (our property). The 2nd Amendment of course, also covers ammunition and other items the citizen needs to use the arms. For without these items the citizen can not use his arms and therefore his rights would be infringed. The preamble to US Constitution states: We the people of the United States, in order to form a more perfect union, establish justice, insure domestic tranquility, provide for the common defense, promote the general welfare, and secure the blessings of liberty to ourselves and our posterity, do ordain and establish this Constitution for the United States of America. In other words the government was formed by the people for the people – not for the government. 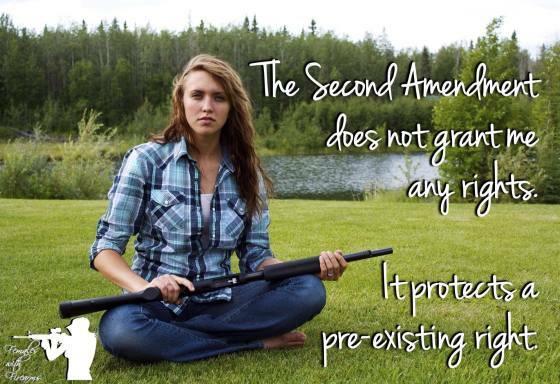 We have a natural right to self-defense. Another very important reason for the 2nd Amendment was so if, our government took these rights from us, we could take them back the same way our forefathers did. If, other ways failed to do so. The North Carolina Constitution states in Article 1, Sec. 30: Militia and the right to bear arms – A well regulated militia being necessary to the security of a free State, the right of the people to keep and bear arms shall not be infringed; and, as standing armies in time of peace are dangerous to liberty, they shall not be maintained, and the military shall be kept under strict subordination to, and governed by, the civil power. Nothing herein shall justify the practice of carrying concealed weapons, or prevent the General Assembly from enacting penal statutes against that practice. I ask shouldn’t this whole Article be removed from the North Carolina Constitution? Amendment II of the U.S. Constitution: A well regulated militia, being necessary to the security of a free state, the right of the people to keep and bear arms, shall not be infringed. The U.S. Constitution is the Supreme Law of the Land, meaning the WHOLE U.S.A. and its Territories. The laws of any State shall not be contrary to the U.S. Constitution. I ask you are not the laws made by the States concerning arms UNLAWFUL? Isn’t any and every law made by the U.S. Government and the State Governments concerning arms an infringement of your right that the U.S. Government is suppose to protect? And since they are UNLAWFUL are they not null and void and therefore not LAW? The General rule is that an unconstitutional statute, though having the form and name of law is in reality no law, but is wholly void, and ineffective for any purpose; since unconstitutionality dates from the time of it’s enactment and not merely from the date of the decision so branding it. An unconstitutional law, in legal contemplation, is as inoperative as if it had never been passed. Such a statute leaves the question that it purports to settle just as it would be had the statute not been enacted. Since an unconstitutional law is void, the general principles follow that it imposes no duties, confers no rights, creates no office, bestows no power or authority on anyone, affords no protection, and justifies no acts performed under it…..
A void act cannot be legally consistent with a valid one. An unconstitutional law cannot operate to supersede any existing valid law. Indeed, insofar as a statute runs counter to the fundamental law of the land, it is superseded thereby. No one Is bound to obey an unconstitutional law and no courts are bound to enforce it. To read: The Right to Arms and the American Philosophy of Freedom Click here. What makes people think that the insane and criminal will obey laws? 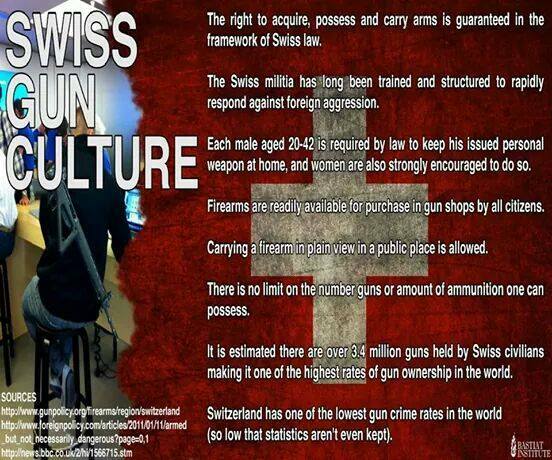 Click here to read: Guns in Other Countries Myth: Countries with strict gun control have less crime. Click here to read article on: Bill to Nullify Gun Control Off to Alaska Governor’s Desk. Breitbart – Calls for more gun control almost always follow a public crime or terror attack in which the attacker–or attackers–use a gun. Yet many of the most infamous attacks take place in gun free zones–places where law-abiding citizens disarm themselves to comply with the rules while criminals take advantage of disarmed masses and open fire. What follows are just a few of the many examples of shootings in gun free zones that could be listed. There is not one type of firearm that can be blamed–the weapon used was sometimes a handgun, sometimes a rifle, other times a shotgun–nor is there one specific race that can be pinpointed–the attackers come from various races/ethnicities. Nor is this a situation where expanding background checks would have made even the slightest difference–all the attackers listed but one, Adam Lanza, passed a background check for their firearms. Lanza opted to steal his guns instead. The common thread is that the attacks took place in areas where the gunman knew he could inflict damage at his own pace, without the threat of reprisal from armed citizens: Click here to read article. A great gun control speech. Click here to read: Treaties don’t Trump the Constitution. Q: Any treaty properly ratified supersedes any competing section of a state constitution and applies directly to state law and, therefore, to citizens of the state. Q: Any treaty, even if properly ratified, cannot supersede, contradict, or abolish any portion of the Constitution of the US. A: That’s my view, but: (a) the scope of the treaty power is now being litigated in Bond v US (see below); and (b) if the treaty implicates national defense or foreign policy, the executive branch has unilateral authority that exceeds the authority given to Congress on domestic matters. Q: Would it follow then, that, if any properly ratified treaty contradicts the US Constitution, it would become law of the land until a grievance were filed in court and litigated up to (presumably) the Supreme Court where its constitutionality would be determined? A: Correct. Treaties are ordinarily not self-executing; they have to be implemented by statute. So any litigation would challenge the implementing statute. Q: Who would have standing to file such a suit? A: Anyone who suffers a concrete and particularized injury that differs from an injury suffered by the general public. For example, if a treaty denied a DC resident the right to possess a handgun in his home, that resident would have standing to challenge the statute that implemented the treaty. Q: I know that individuals have 10th Amendment rights according to the recent SC decision, but would this event be a 10th Amendment case? A: An individual challenge to a statute implementing a treaty would be an enumerated powers case — i.e., the federal government attempting to do something for which it has no constitutional authority. If the federal government intruded on state sovereignty, that could be challenged under the 10th Amendment. If the federal government violated rights secured by the US Constitution, that could be challenged by invoking the particular right involved — e.g., the 2d Amendment. For more information on Treaties, international law, and constitutional rights click here. No Federal Power over Guns, Even if the 2nd Amendment Never Existed Click here to read more. 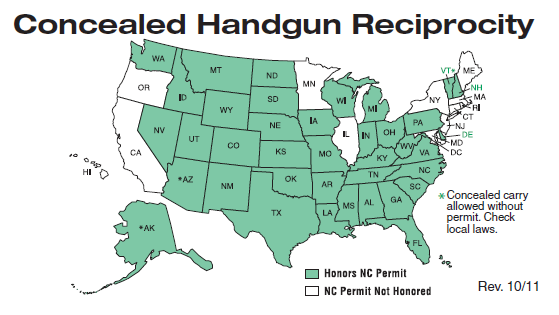 Click here to read about Open Carry in NC. 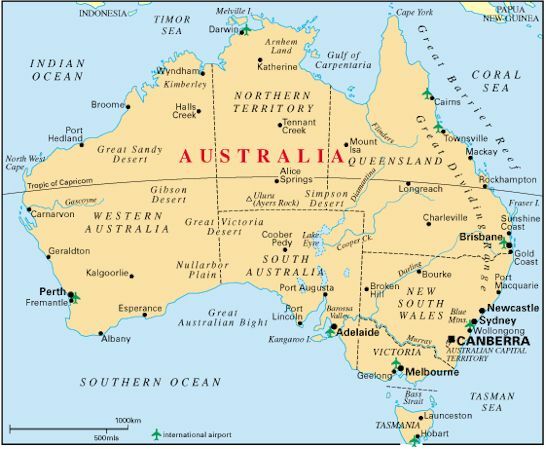 This map is for information purposes only and does not represent legal advice. Check federal, state and local laws. Click here to read: Firearms Regulations in National Parks. 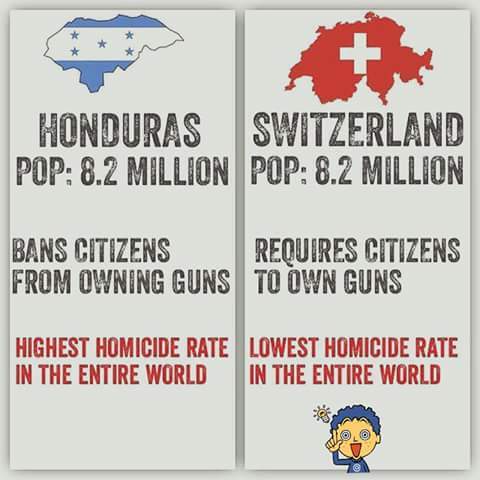 Click here to read: Americans never give up your guns. Kennesaw, Ga Gun Ordinance Scroll down to Chapter 34 CIVIL EMERGENCIES and click on it to read: Sec. 34-1. Heads of households to maintain firearms. Obama And The Second Amendment. Gun Owners Fear Obama’s Push for International Treaty to Track Firearms. Click here to read: Is Australia staring down the barrel of a gun crisis? 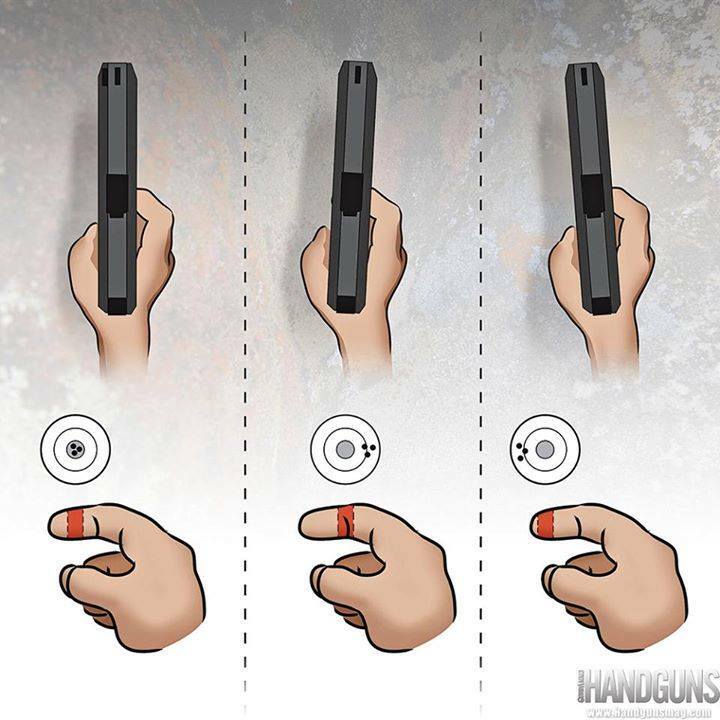 Click here to read: RIGHT TO KEEP AND BEAR ARMS PRECEDED U.S. CONSTITUTION. Click here to read: NRA-ILA webpage on Gun Laws. chapelhillnews.com – Ellie Kinnaird’s interpretation of the Second Amendment (“2nd Amendment never said right to bear arms was absolute,” DN, May 27) is an interesting work of fiction, but its basis in historical precedent and established jurisprudence couldn’t be more mistaken.